What better way to celebrate our 40th Anniversary (other than eating cake of course) than by marking it by publishing our first ever blog! 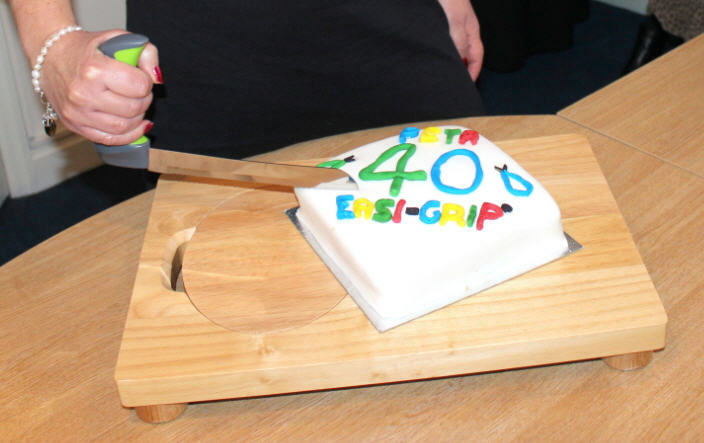 This blog is to celebrate our journey from the time the first Easi-Grip® scissor was designed to our achievements today; consisting of a range of Easi-Grip® products represented by distributors in 33 countries. This range, which has been designed in-house with invaluable support from Occupational Therapists, has brought enhanced independence and quality of life to many, many people over the years and we are always thrilled to hear their stories, some of which are shared on our website. Today our focus is on improved ergonomics and aesthetic design and increasing our level of GB manufacture – watch this space for more news about this!